In the Northwest, fall is a beautiful time of year and we’re already starting to feel a chill in the air, which means winter is just around the corner. With cooler months ahead, we know that you’re likely to spend more time indoors where it’s warm and comfortable. Here are some of our favorite cozy home essentials to put in your new home for you and your family to enjoy. and mood. Get your favorite scents that correspond with your favorite holidays, or choose something mild that you can burn year-round. We have found three wick candles like the ones you find at Bath & Body Works to be very effective in emitting scent whether you are wanting to cover up a particularly fragrant dinner or just blast some lovely aromas. Remember that candles can be dangerous, and are one of the top causes of home fires every year. If you have young children and/or pets living in the home, candles may not be the safest choice. Maybe consider flameless candles, or investing in some low, ambient lighting instead. Softer, warmer bulbs can do a lot for a room in terms of adding warmth and comfort. As temperatures cool and wintertime settles in, having plenty of warm blankets around your home is a necessity! The great news about blankets and throws is that not only are they totally functional, but they can be great aesthetic additions, too. Choose heavier materials for the wintertime, and consider colors that mesh with your home’s decorations and overall color palette. Houseplants may not be cozy, per se, but they are a great addition to a home that can improve air quality, look, and overall feel. This way you can enjoy thriving, living plants year-around. Did you know that there are a whole bunch of hardy winter houseplants? Check out this list from Real Simple as you think about bringing a little life into your home this winter! Cozying up in front of the TV for a movie is a great way to spend a cold winter’s night in. But don’t get too lost in technology – books and games are a great entertainment option, too, and one that’s more engaging if you’re with a loved one, family, or friends. Invest in a great bookshelf and fill it with your favorites, and don’t forget to a put a puzzle or two in your game collection! You’ll enjoy having all these as a go-to over the winter months, and a bookshelf that’s full can make great conversation and provide great eye-catching decoration for a home, adding warmth and a feeling of forgotten fashion. Start Adding Home Essentials to Your New Home Now! Fall is already here, and winter will be here too before you know it. 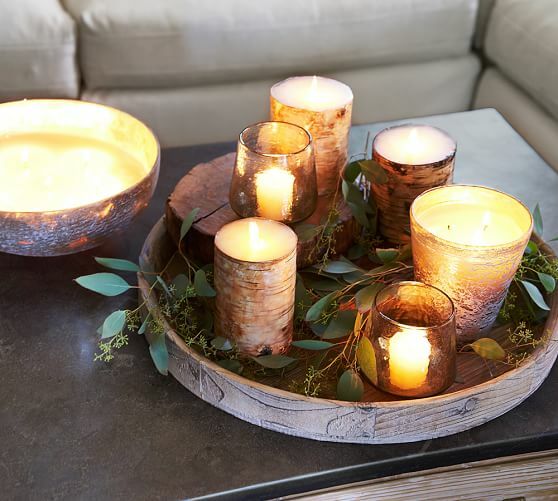 Start preparing for the colder months by adding these home essentials to your home now. You own your land but have been searching for the perfect home builder for you and your family in Oregon, Washington and Idaho? If so, Simplicity, your Northwest homebuilder, has a variety of attractive floor plans at affordable prices. Whether you’re building your dream home or wanting to build an investment property or adding an ADU to your property, we can help. We work with homebuyers throughout the Northwest, and are ready to meet with you! Contact us today to learn more.